Los Angeles, CA — February 13, 2014 — Joshua Colover, with over 18 years of experience as a producer, screenwriter, and director, has become known for maximizing creative potential of a project while maintaining the production budget. Throughout his career Colover endeavored to create some of the most compelling film, television, and multimedia productions. At the core of his pursuit is the firm belief that good storytelling will always be the most effective way to engage audiences of all ages while conveying key educational points. As a result of his ideals and passion, Colover founded Aperture Films in 2000 with Chris Blum, a fellow filmmaker with an additional wealth of experience. Colover’s skills as a producer/director, combined with the talents of the Aperture Films team, have created many “one-of-a-kind” audiovisual and multimedia programs. Aperture Films projects range from capturing the first HD Footage from the summit of Mt. Everest while telling the story of the world’s first blind man to climb the mountain in “Farther Than The Eye Can See” to telling the story of D-Day with a giant screen immersive film in “Victory In The Sand”. Colover’s work has been recognized with some of the industry’s highest honors, including Emmy nominations, CINE Golden Eagle Awards, and major film festival awards. 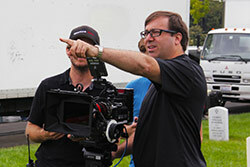 As a testament to the reputation and experience of Colover and his company, Aperture Films’ has been chosen to oversee film and media productions for clients including the United States Marine Corps, The National Park Service, and the National Science Foundation with budgets ranging from $250,000 to over $6 million. Most recently Aperture Films debuted a PSA about the U.S. Army Gold Star Pin Program & Survivor Outreach Services on Fox. They produced three spots, which include 40 Army Survivors from across the country that came to Southern California to participate in the PSA film shoot, which will be airing on Fox throughout 2014. For more information on Aperture Films and to view past film work, visit: www.aperturefilms.com or . With Garvey's organization growing, he attracted the attention of the government. He was subsequently prosecuted for mail fraud and sentenced to five years in prison. After serving three years in prison, President Calvin Coolidge commuted his sentence and he was deported to his native country Jamaica. 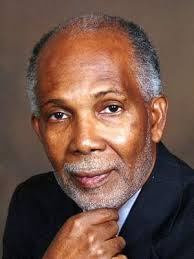 A terrible mistake was made between 40 and 50 years ago when black men were elected to legislative assemblies all over the country, especially in the southern states and even at the national capital when representatives of this race occupied seats in Congress. The mistake was made as far as the white people were concerned. There was a state of dis-organization in the nation, and in that state certain things happened to mere chance. In the chance, dozens of black men became Senators and Congressmen. This opened up to the eyes of the white nation the possibility of the black man governing the white man in these United States of America – the possibility of the black man making laws to govern the white man? This possibility drove them almost to madness, in suddenly rejecting the spirit of the Constitution and the declaration of Lincoln that "all men are created equal," hence the determination was arrived at, that never again would it be possible for the race of slaves to govern the race of masters within these United States of America. The mindset of the GOP and the right-wing media as Garvey alluded to is that President Obama should not have been elected president. They want to ensure that another black man is never again elected president of the United States of America. This explains the GOPs unceasing effort to bring down the president. As Garvey asserts, "the possibility of the black man making laws to govern the white man, drove them almost to madness." This madness is evident in the GOP shutting down the government, trying to repeal Obamacare, and refusing to extend the unemployment benefits. The racial conditions Marcus Garvey saw in America did not allow him to be optimistic about the future for blacks in America. He could not have envisioned that a black man could one day be elected president. Despite the fact that Garvey and Obama had far different American experiences, they both experienced racially motivated efforts to bring them down. In Garvey's case, they succeeded, but with President Obama, they failed in his first term. I believe they will fail again in his second term.